Learn about medical malpractice causes and trend information here. 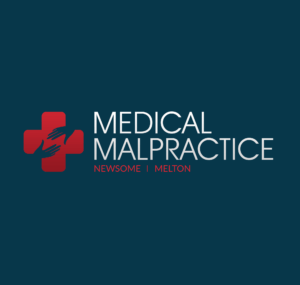 Find medical malpractice statistics on this page. What Do I Need To Do Before I Call A Medical Malpractice Lawyer? The aorta is the body’s main artery, supplying the circulatory system with oxygenated blood. A condition known as an abdominal aortic aneurysm involves the weakening of the aortic wall. Anesthesia errors are a dangerous form of medication error. Anesthetic drugs are strong, and the surgical rooms where they are often administered can be hectic. Through arteriography, physicians can determine how blood is flowing through the body and in what condition a person’s arteries are. Balloon angioplasty is a procedure in which a balloon catheter is inserted into the femoral or radial artery and then threaded to the area of cardiac blockage. Child birth malpractice is a very serious type of negligence. When a doctor engages in malpractice while delivering a child, he or she is putting a human life in harm’s way. While some birth injuries can be the result of the mother’s health during pregnancy and complications from such during delivery, others are caused by medical negligence of some form. If such treatments are improperly applied to a burn victim leading to any of the previous issues, he or she may have the right to sue for medical malpractice. Cardiac catheterizations may also be used when atherectomy and angioplasty procedures are performed so stents may be inserted into arteries and blocked arteries may be opened. Cardiovascular health determines the patient’s overall health, and it should be taken seriously to maintain a high-quality life. Any patients that are recommended for a carotid endarterectomy by their doctors are advised to weigh both the benefits and the risks before deciding whether to have the surgery. On its own, chemotherapy is an uncomfortable process to endure without the added trauma of medical error. Chiropractors are licensed professionals who specialize in diagnosing problems with the body’s muscles, tendons, joints and bones in connection to the nervous system. Congestive heart failure can be either an acute or chronic condition that may be manageable with lifestyle changes, medication and surgery to treat the underlying issue contributing to heart failure. A CT scan is performed by doctors to give them an internal image of an injury that cannot be seen by simply observing the patient. In order to protect patients, their families, and dental care providers from malpractice, the National Society of Dental Practitioners has put together a list of 12 base causes of dental malpractice. When patients are medically obligated to follow plans that involve dietary restrictions, it is of the utmost importance that such patients adhere to the plans they have been provided. Epidural anesthesia is commonly known as the type of anesthesia used to alleviate pain associated with labor and delivery. Possible gynecological negligence can include test results that are misread, contraception errors, undiagnosed conditions, and failure to prevent pregnancy. Medical implant issues occur more frequently with metal-on-metal devices but may also happen with appliances comprised of ceramic and metal. Normally, knee replacement procedures require a standard of care to ensure proper care and attention is given. Patients trust their doctor to prescribe safe medications that will help rather than harm. Doctors take the time to review charts and double-check for any medications that might cause dangerous interactions. If a patient suffering from a bone fracture is allowed to exercise by the physician in charge of his or her care, the patient has the right to file for a medical malpractice lawsuit. The field of neurology is disproportionately prone to medical malpractice claims. In fact, more than half of all neurologists will find themselves the target of a malpractice claim at least once over the course of a 30-year career. Assisted living facilities are required to uphold minimum standards of care in order to avoid malpractice claims. Unlike regular gynecology, which focuses on women’s health in general, obstetrics examines the individual’s health during all phases of pregnancy and determines if there are any expected complications when the fetus is ready to be delivered. All dentists and other doctors are expected to provide a certain level of care. There are guidelines that must be followed and there are certain standards that must be met on a regular basis. Orthopedics is a specialized area of medicine, and like other specialties, this sphere of medicine is not immune to medical error and negligence. In such situations of high stress and urgency, there are also going to be higher chances of the actions of paramedics leading to cases of medical malpractice. Pediatric malpractice can cause severe damage at a very early age. The child will have to cope with the resulting complications for the rest of his or her life. Patients who suffer pain, injury, and other physical or emotional damages due to acts of negligence that physical therapists commit may be eligible under malpractice law to bring claims against the medical professional or facility in question. Even if a drug has been approved by the Food and Drug Administration, it is not necessarily a safe and efficacious means of treatment. Psychiatric malpractice occurs when either professional engages in misconduct infringing upon the care of the patient in treatment. Radiology is a very specialized medical practice that involves studying results from tests and determining if suspected injuries or diseases are actually present. Due to heightened risk of injuring the spinal cord, the exact placement of a spinal anesthesia injection is important. The best medical providers will invest time in studying these new surgical options and analyzing which processes may ensure the safest results for their patients. Whether a mild or severe TBI has occurred, affected individuals need to seek immediate medical attention and speak with their doctor about any potential long-term effects.